Hummm, I wonder if Thumb Therapy is covered under workman’s comp??? 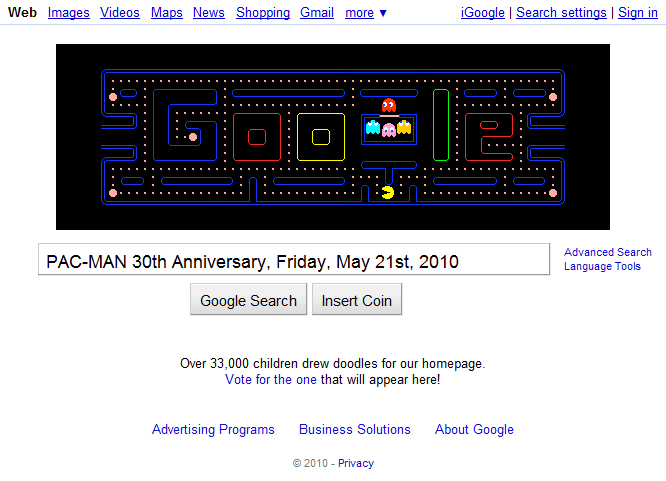 What do you think of Google’s Interactive PAC-MAN Video Game Logo? Love it? Hate it? 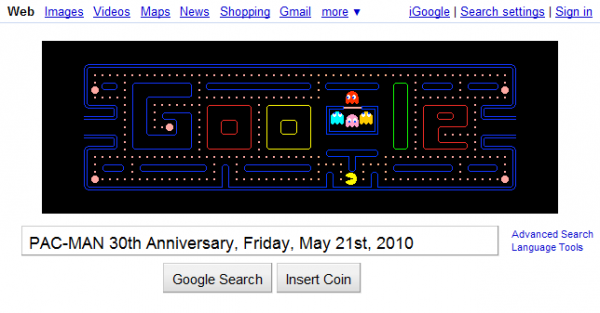 Think its the coolest logo ever or a complete waste of time? Feel free to share your thoughts. I hated it. I hated the noise, the intrusion and the fact that it just would not stop. I think it was a very bad move on their part.